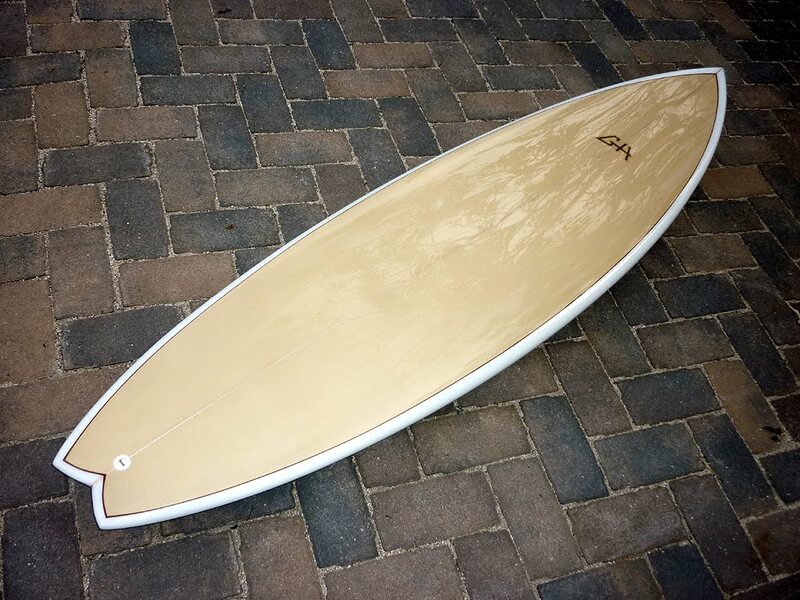 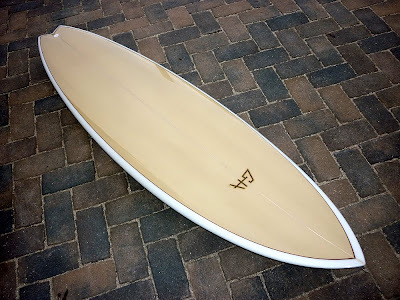 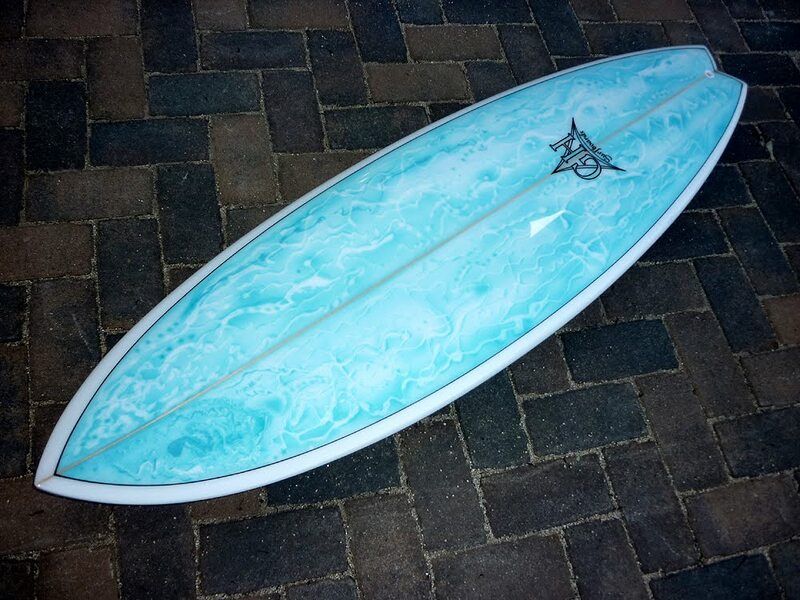 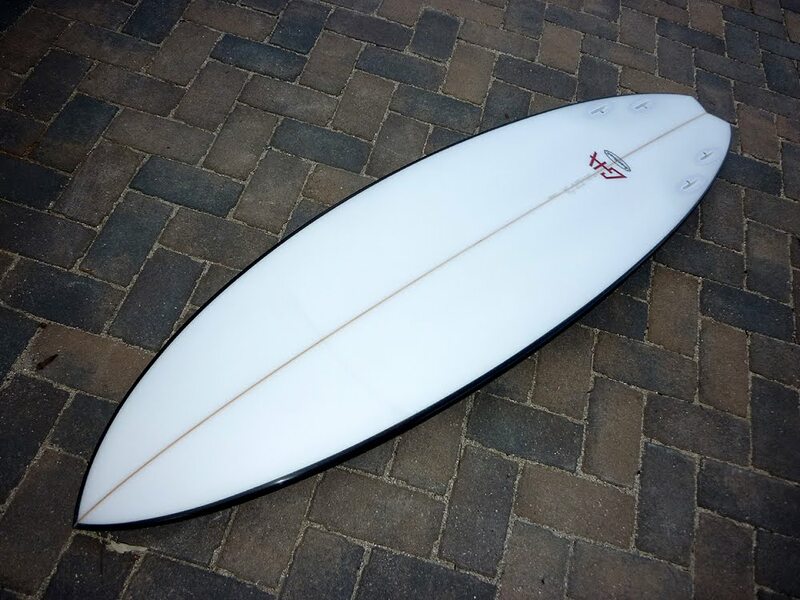 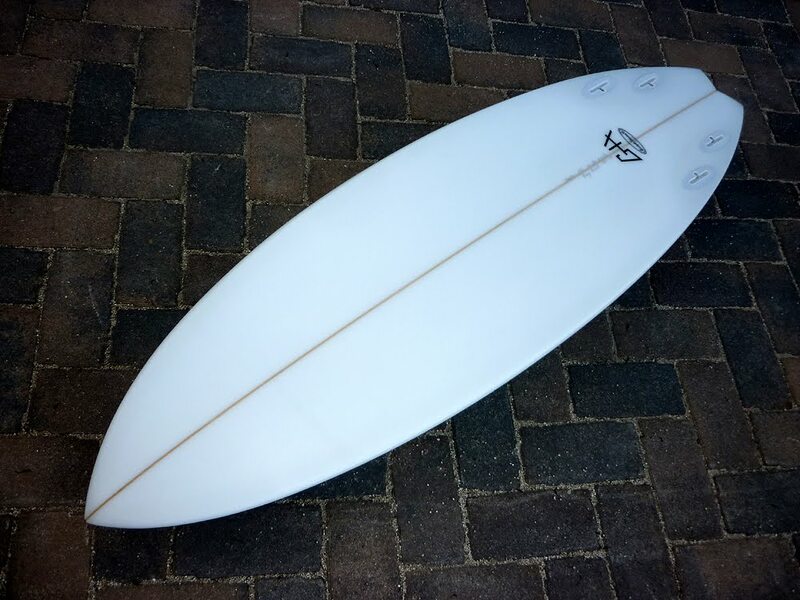 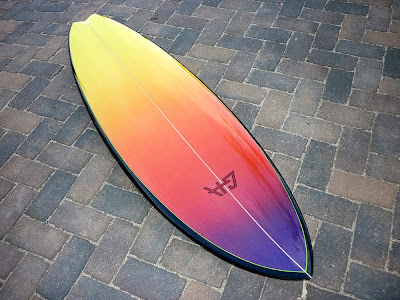 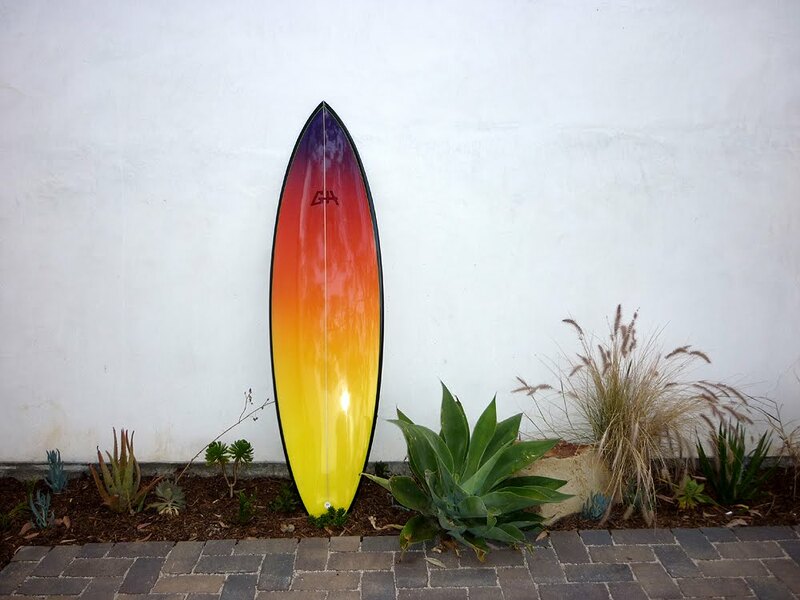 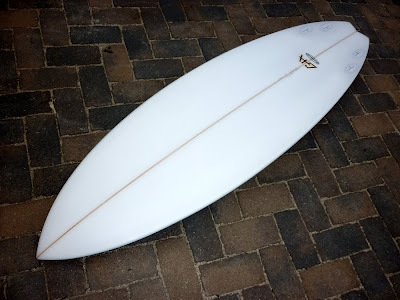 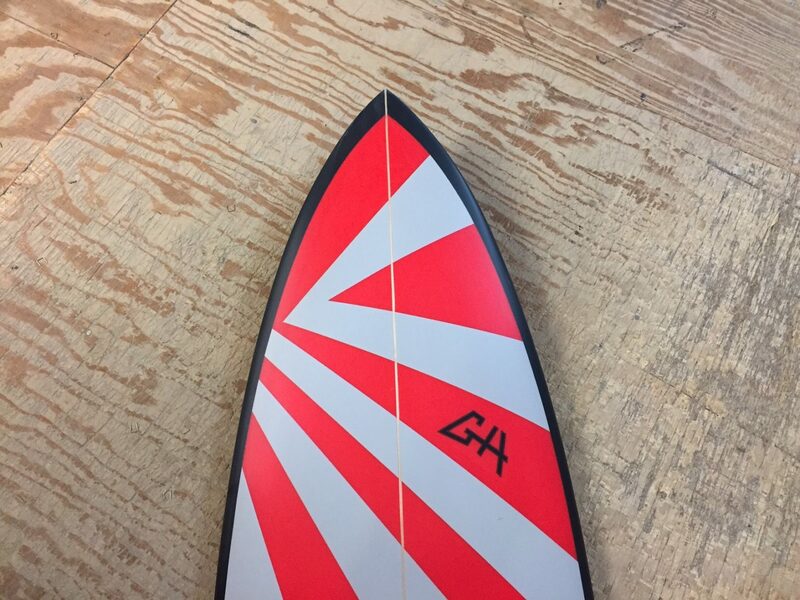 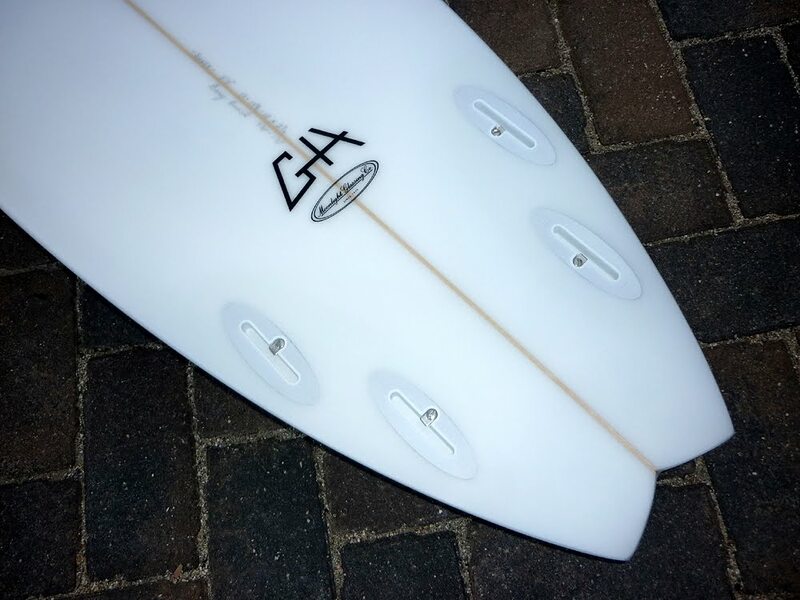 Handshaped by Gary Hanel in his backyard shaping room in deepest, darkest Leucadia, California. 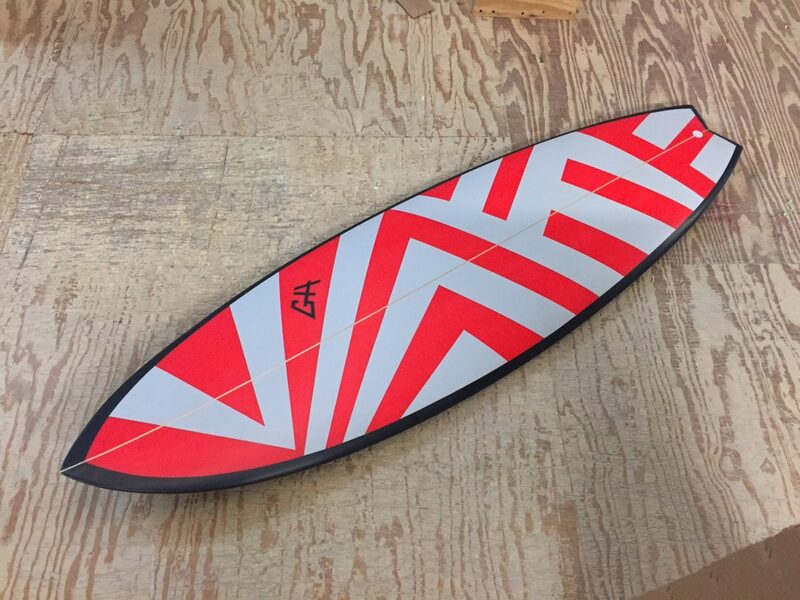 The ‘cuda is a small wave performance machine. 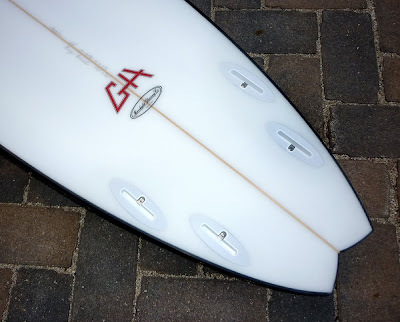 Adjustable Lokbox fin system great for quad fine tuning. 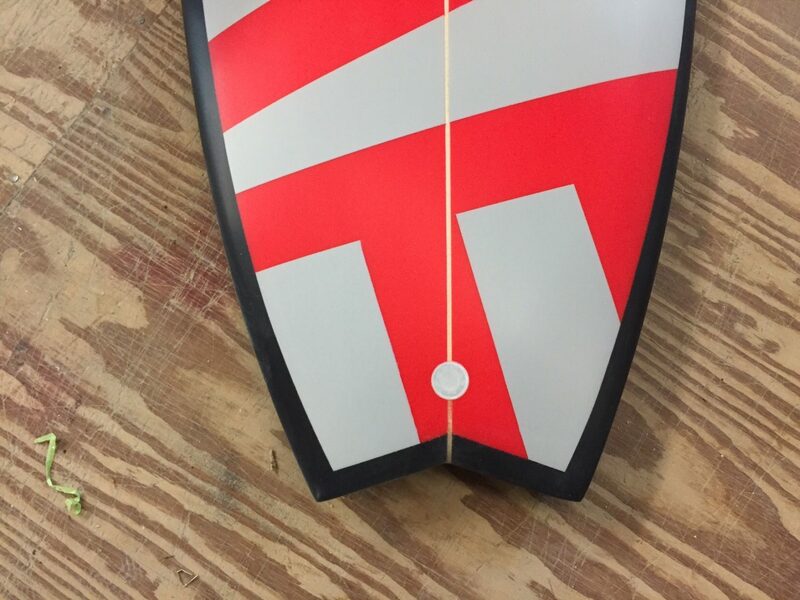 Includes LBX2 fronts and LBXM 3.8 rear fins. 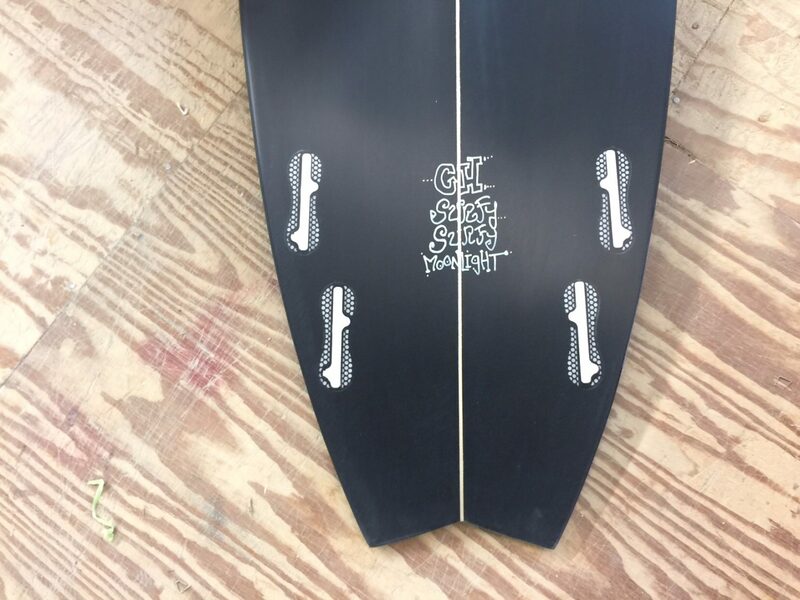 This board has 2 small dents on the deck the exact size and shape as my 2 year old son’s knees. 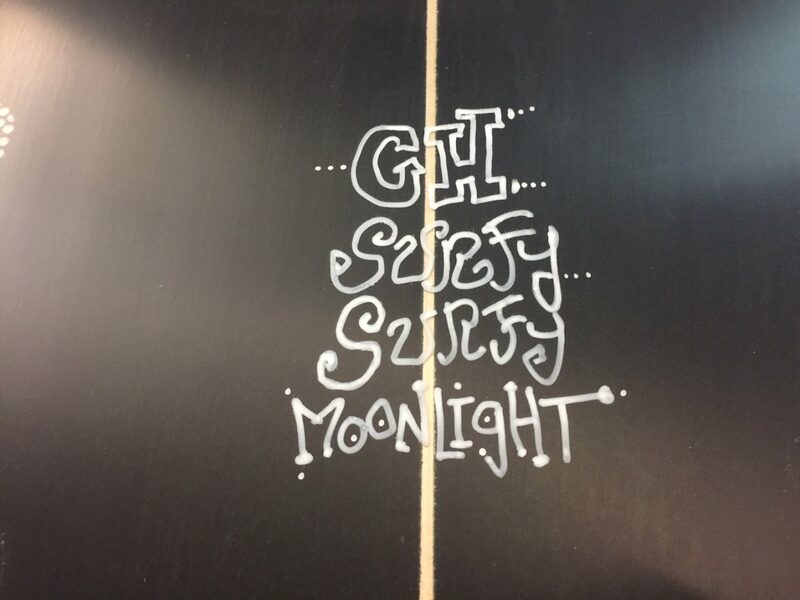 Surfy stock GH ‘cuda quads! 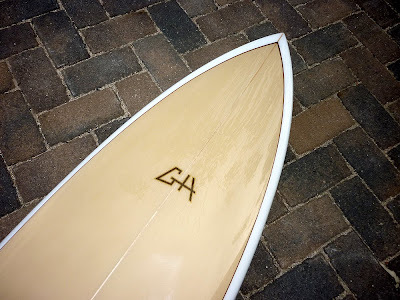 An adult sized GH ‘cuda quad. 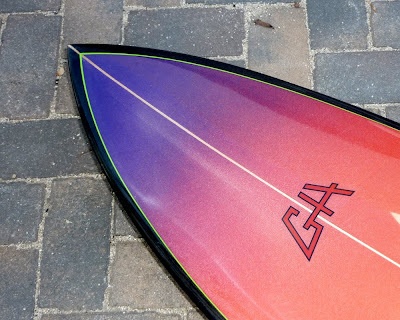 The ‘cuda has the extra paddle flow you want with higher performance than retro quad fishes. 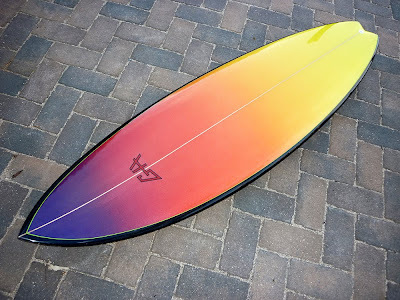 Foiled performance rail built together with smooth rocker and a subtle but sophisticated bottom. 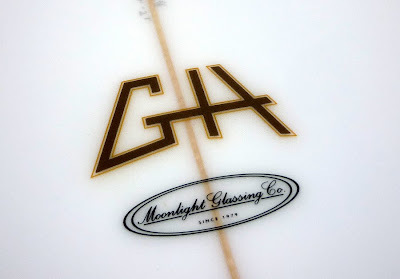 Quality 4/4 oz glassing. 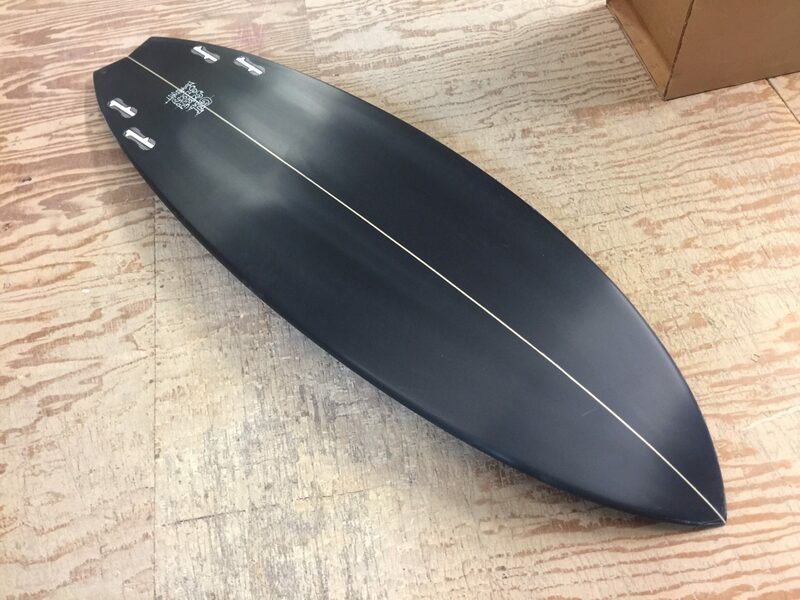 Combo finish: polish gloss deck and rails with wetsanded gloss bottom. 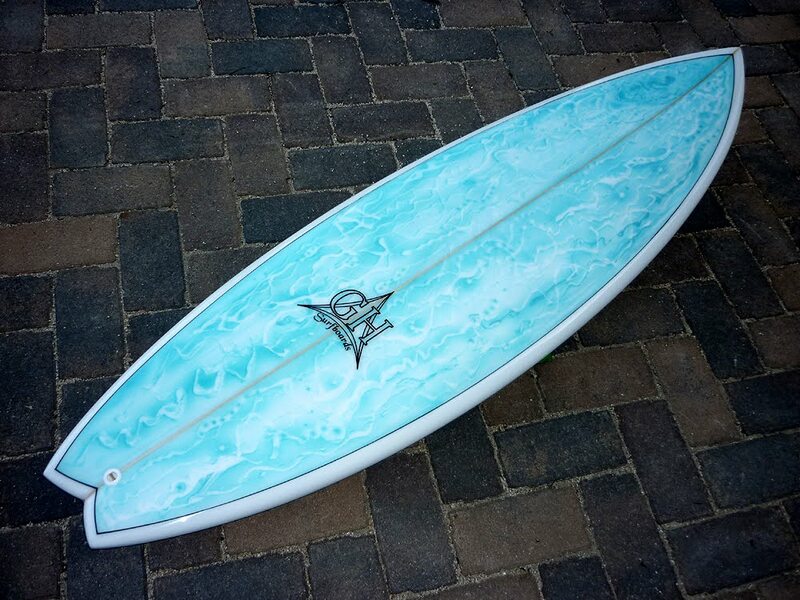 Black rail airbrush with classic fade deck inlay by Peter St Pierre (the snappy green pinline is a nice touch). 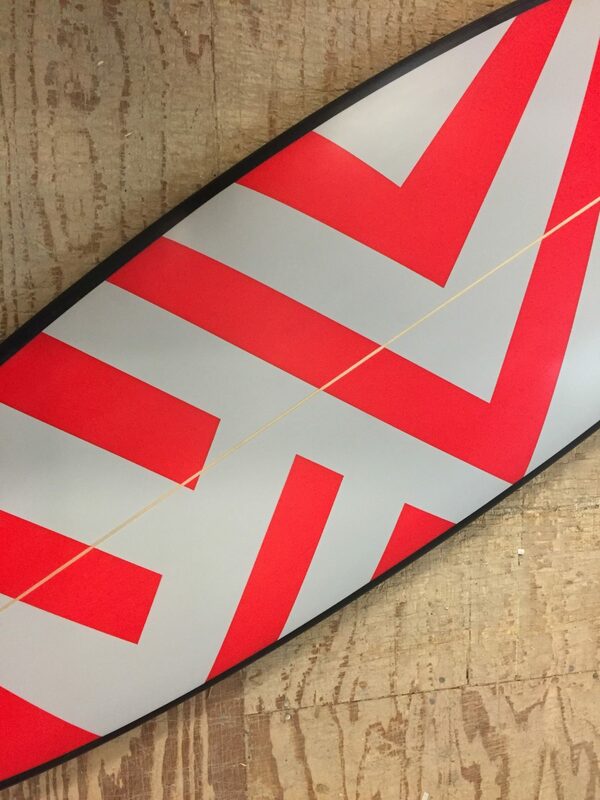 We retail these boards at $650. 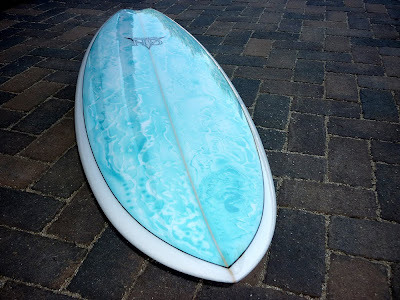 Mere pennies per wave! 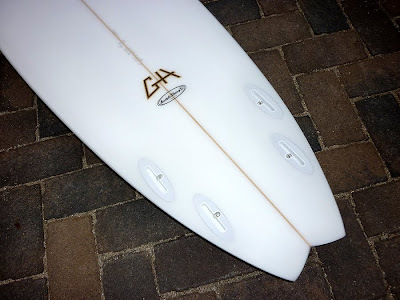 Board #2 in our run of GH ‘cuda quads.